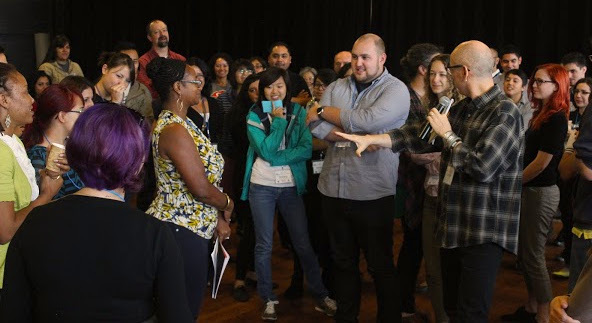 On July 30 and 31, 2015, fellow capacity builders, mentors, and community organizers from across the state joined together at the first California Nonprofit Technology Leadership Summit held near Bakersfield, California at the National Chavez Center. The CA Tech Summit was an immersive experience to strengthen the network of leaders in rural and urban areas who are passionate about social justice and technology. Over the past five years, participants from more than thirty unique California cities convened for the California Nonprofit Technology Festivals in Fresno, Sacramento, Coachella, Los Angeles, and Richmond. From community health, environmental justice, to youth leadership organizations, a diverse range of nonprofits collaborated to learn new skills and share knowledge. From this ongoing work, a core group of returning participants and organizations expressed interest in diving deeper into ways to grow and support leaders, create mentoring resources, and share capacity building models. The CA Tech Summit is designed to address this need. 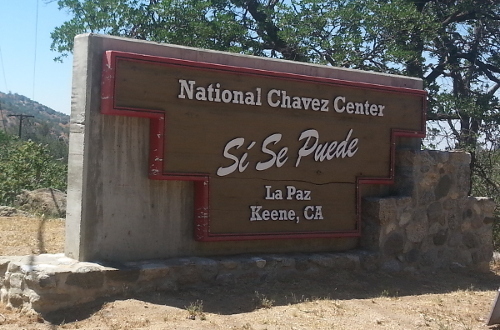 The CA Tech Summit took place at the historic national park and memorial dedicated to Cesar Chavez, one of California's greatest organizers. The Central Valley is where we started our grassroots technology capacity building program, and we are convening in Bakersfield to honor the work of these communities. This event would not be possible without the California Consumer Protection Foundation, who generously supported the California Nonprofit Technology Festivals and our efforts in the Central Valley starting in 2011.